Amazon is facing a battle with UK publishers as it seeks to secure more advantageous terms in its latest round of contract negotiations. The web giant wants the right to print books itself if publishers fail to provide adequate stock, and wants publishers to match any pricing deals it offers to other distributers. One mid-sized firm accused Amazon of “bullying,” and warned that the company was destroying the industry. Amazon has not commented on the issue. Trade magazine the Bookseller was first to report that Amazon had introduced a number of new clauses in its recent contract proposals to independent UK publishers. Among these were the right for Amazon to print its own copies of a book if a publisher runs out of stock. The Seattle-based company would do this using its “print-on-demand” equipment, and would require publishers to hand over electronic versions of their titles. The process, which can print books more quickly than a traditional press, is generally thought to offer an inferior product. Publishers are concerned that if Amazon used this method to print books, customers would blame them, and not the tech firm, for the quality. Another clause, known in the industry as a “most favoured nation” (MFN) proposal, asks publishers not to offer promotions to distributors without also offering them to Amazon. This would include selling books at a discount on the publishers’ own websites. It also demands that publishers inform Amazon before offering e-book deals to other clients, and give the tech firm the same terms. The BBC spoke to independent UK publishing companies who were alarmed at the proposals. One representative of a mid-sized firm said Amazon had become “increasingly ruthless” in its negotiations, while another accused Amazon of “bullying”. One boss added that they believed the MFN clause would cause Amazon to fall foul of competition rules, and should be of concern to regulators. Publishers also told the BBC that Amazon generally prefers verbal agreements, and rarely documents its negotiations, but had done so in the latest round of talks, with one “mid-tier” firm saying this was the first time it had received correspondence outlining such terms. One independent publisher, which releases between 80 and 100 titles each year, said it had been approached by Amazon in the past with the above clauses. A senior manager told the BBC that if asked to agree to the terms, the firm’s answer would be a “simple and monosyllabic no”. They also warned that Amazon was reaching a “Ryanair moment”, when customers and suppliers would become uncomfortable with the way that the company operates. The BBC also approached several of the larger publishers, including Hachette, Penguin and Harper Collins, all of whom refused to provide comment. The Bookseller’s editor, Philip Jones, told the BBC that if Amazon’s terms were agreed, it would be a “form of assisted suicide for the industry”. But he added that the negotiations might be a “tactic” by Amazon, and could be dropped before a final deal is struck. The BBC understands that similar terms were proposed in the past – although without the current forcefulness – but later abandoned by Amazon. The negotiation process generally takes many months. Competition investigations The tech firm is currently involved in a high profile spat with publishers Hachette in the US. The two companies are locked in discussions about how to share profits on e-books – a dispute which has led to price increases and a block on pre-orders of Hachette books. In a separate development, a German trade association has brought a complaint against Amazon to the country’s competition authorities, claiming the firm abused its market dominance. On Thursday, the Associated Press reported that the French government, in a bid to support the country’s small bookshops, has adopted a bill that will prevent Amazon and other online retailers from offering free deliveries of discounted books. 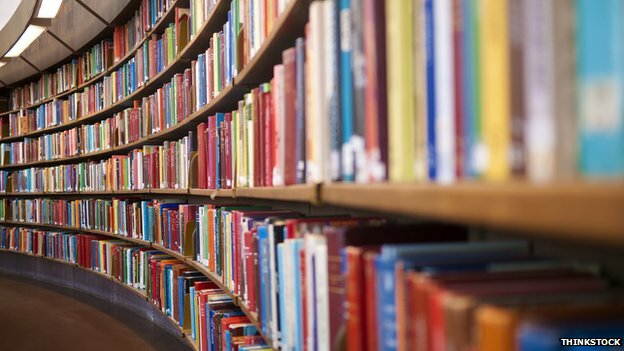 The EU commission confirmed to the BBC that it was investigating the UK book industry. The EU has investigated MFN clauses in the past, but has never ruled them illegal. But Mr Jones also emphasised the positive role Amazon has played in the bookselling industry. “The worst thing that could happen [to book publishers] would be for Amazon to go away,” he said.